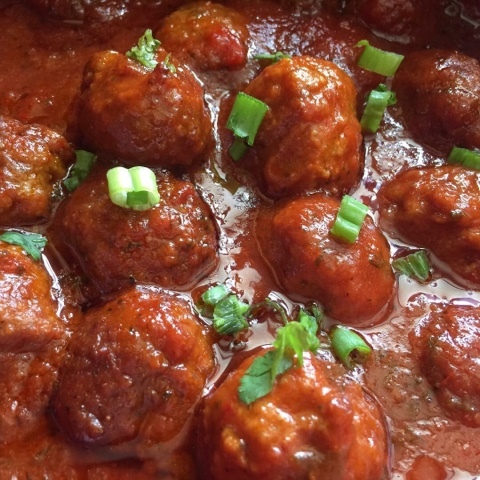 This is a one pot meal…in the crockpot….pour in your marinara sauce then add all the other ingredients. Mix really well then add in your meatballs. Put the lid on and set the crockpot for 4 hours on LOW. Serve with Hawaiian sweet bread or pasta.